I grew up with little, but because of that we had a lot of one commodity – space. Space to play in, space to create, space for living. Random childhood memory but it makes me determined to create space for Joy as well at every stage of her life. 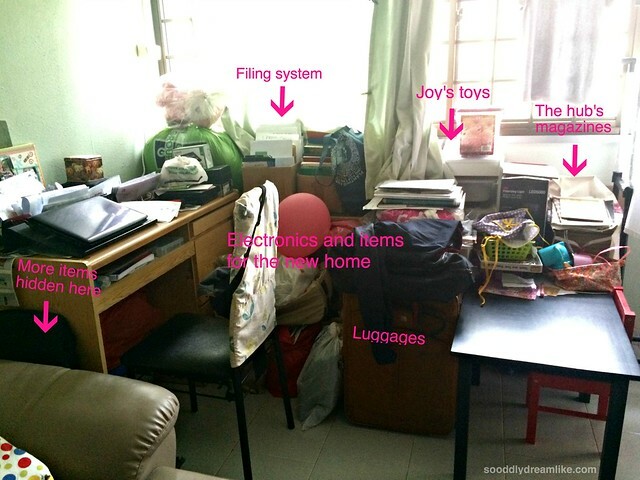 Before we moved our things in, I was brought around Extra Space at Kallang Way, where my stuffs are now kept. 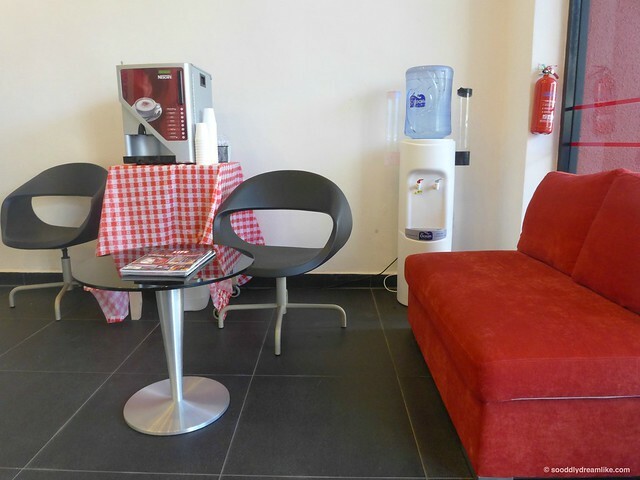 What welcomed me first was this simple but comfortable lounge for guests and users of Extra Space to rest at. By the side was this little shop, which sold everything you can need for storing items. It was then that their round shaped locks caught my eye. I also really love the card box boxes ( I have a thing for boxes). 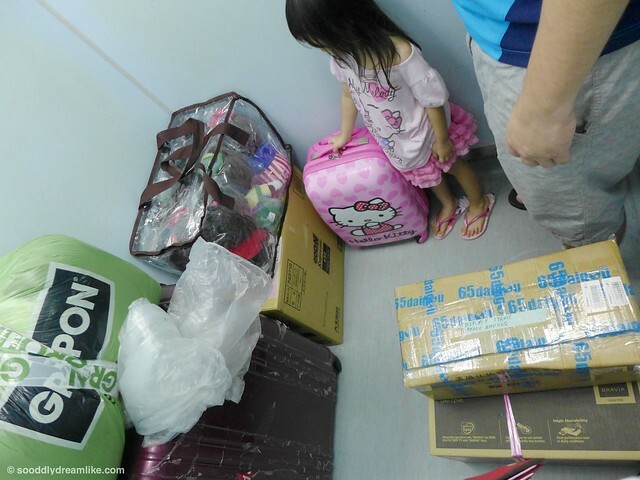 Even if you cleared the security officer guarding the building (the security uncle is quite vigilant, the first time we went to store our items, he asked me where I was going and checked my identity card), getting to the storage space itself needs 2 rounds of authentication. 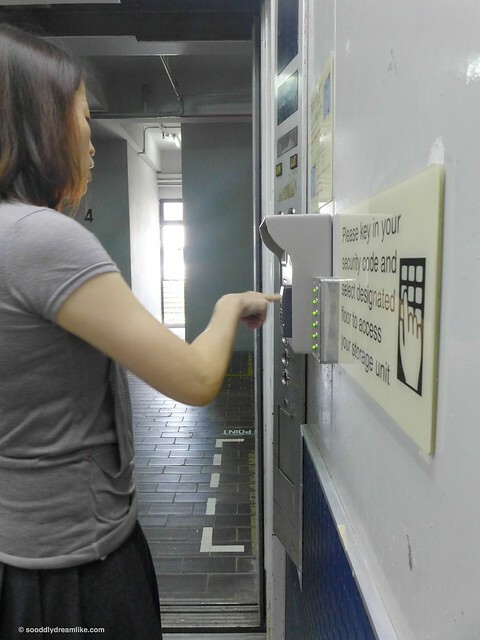 One, a passcode to be keyed it before the lifts will bring you up to the level where your storage is. 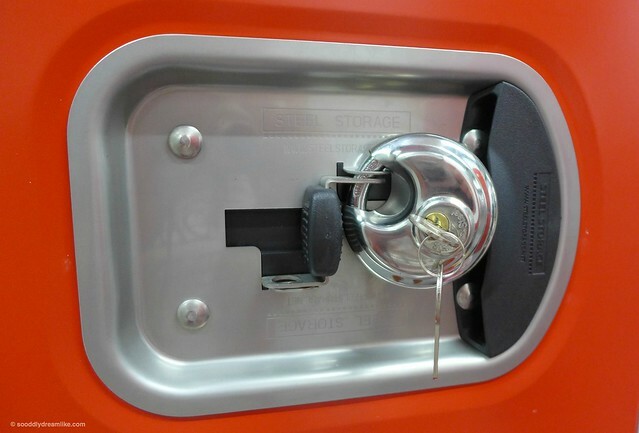 And another, the lock of your choice which secures the door to your extra space. I choose the cute round locks from the Extra Space Box Shop, of course! 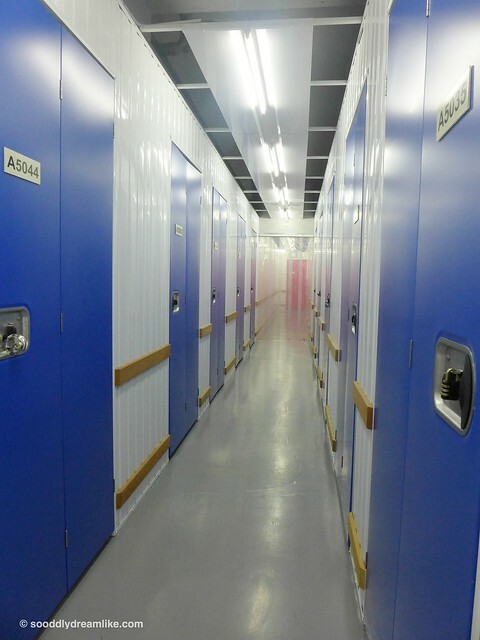 The space is clean and well lit in both the non-airconditioned (with red doors) storage section and the air-conditioned (with blue doors) storage section. 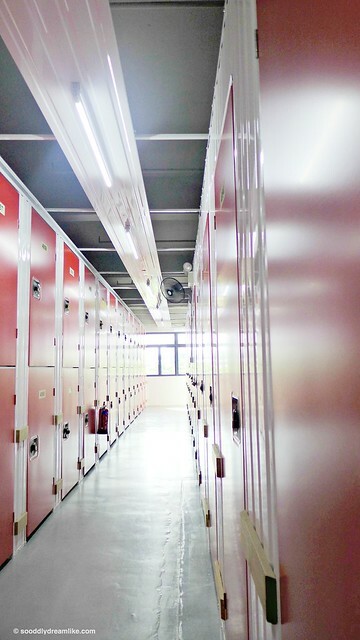 The inside of each storage space looks like this. I think this is a small 2 but they have storage spaces ranging from locker size to a (very) large bedroom size available (Cannot visualise? The Extra Space size estimator rocks!). Exactly what we needed – something practical, secure and can be self operated without people poking their faces into what I store (zero interference in this aspect). I went back another time to settle all administrative matters (sign agreement, provide particulars of authorised persons who will assess the storage space, purchase locks) and the process was so fuss free and it took only a total of 20 minutes to complete. I checked, payment can be made by cash, credit card, cheque, GIRO or via AXS machines (now available on mobile!) 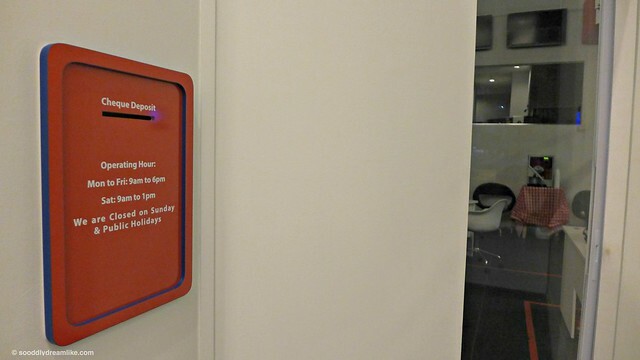 and I even spotted this cheque deposit box by their office, which makes it easy to deposit a payment even when you can’t make it during office hours. 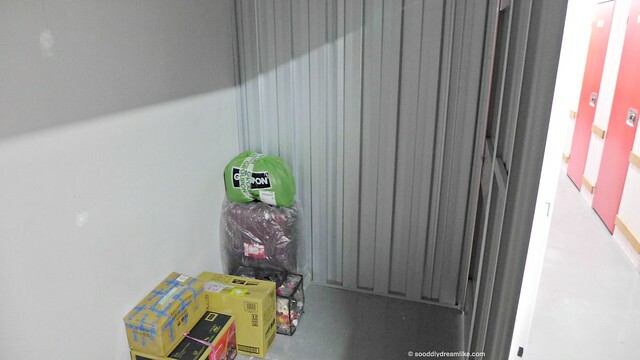 That very night, we moved some of our stuff into our extra storage space at close to 10pm – possible because of the freedom to access our storage space 24 hours a day, any day at all. I got a little worried when our first batch of items cramped up the lift such that there was barely space to move around. Turns out, they took up only a very small portion of our medium sized storage space at Extra Space and I can see so much potential for this space because of that, including organising on site (so that I don’t mess up our living space), discarding and finally, actually having a good idea of what we really own because they can now fit all in the same space. This is invaluable to me. This space is about 1/4 of my storage space. 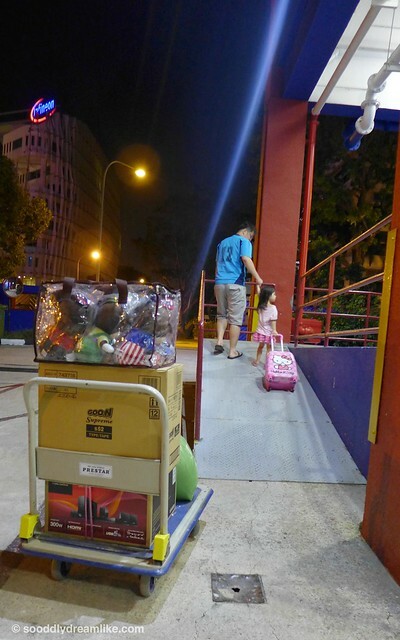 Transporting our items from the car to our extra space was a breeze. Parking is free (yay!) and trolleys are provided for use. I’m not worried even if we go late at night because the unloading bay is well lit and free of obstruction. 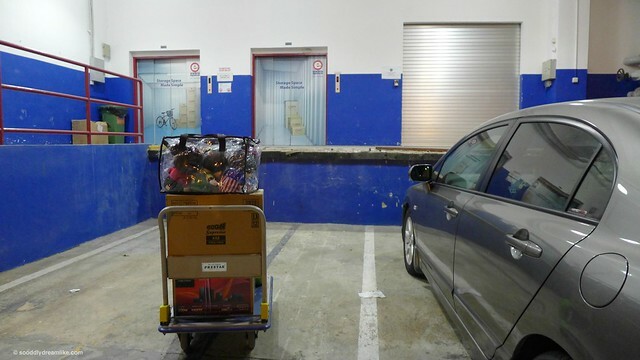 We had no problems moving even very heavy items up on the trolley because the ramp leading to the lift is wide and low. It’s important for me that all areas are well lit, because most of the time, Joy goes wherever we go. I don’t feel queasy about bringing Joy to Extra Space at night. My main purpose for the extra space is really to regain some kind of life, after living in an extremely cramped environment for years and to use it to plan storage space for the new home. But, this year, I have also started to buy some household items which we need for sure, especially if they are going for a good price during promotions. I hope to find more and more uses for the extra storage space and I can’t wait to share them in one (or more) posts to come. Meanwhile, here are some infographics which Extra Space shared with me. 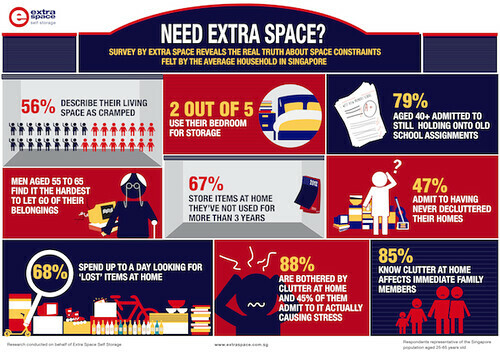 So true, especially the one about bedroom storage. 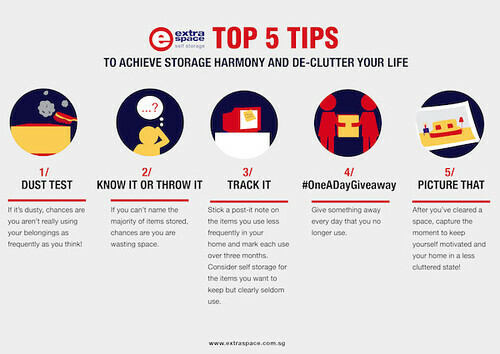 And 5 tips to declutter your life, courtesy of Extra Space! Disclosure: I received complimentary storage space from Extra Space for a considerable period of time so that I can share my experiences with you. I am obliged to write two blog posts but judging from how useful the storage space has been for me, I think I should be writing more. All opinions and experiences shared about Extra Space are 100% my own. I would absolutely love to have an extra storage space like this for all of my extra things! Right now, most of our rooms are really cluttered since we have so many things, but not enough storage for them. 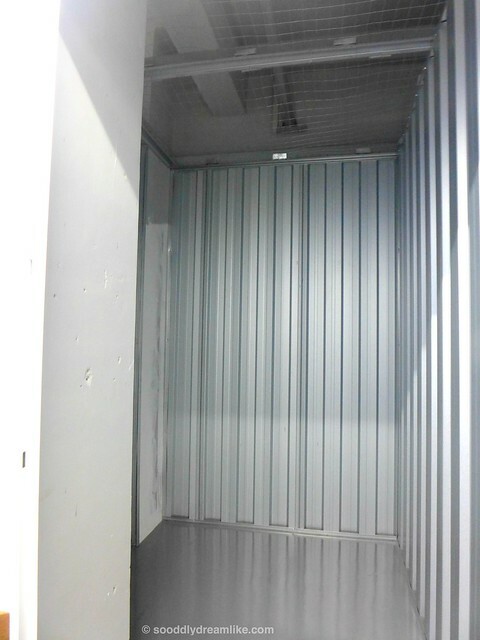 One of the things that I especially like about this storage facility that you picture here is that it seems so secure. I definitely want to be sure that all of my items stay secure, so if I could have something with really great security, that would be really great. 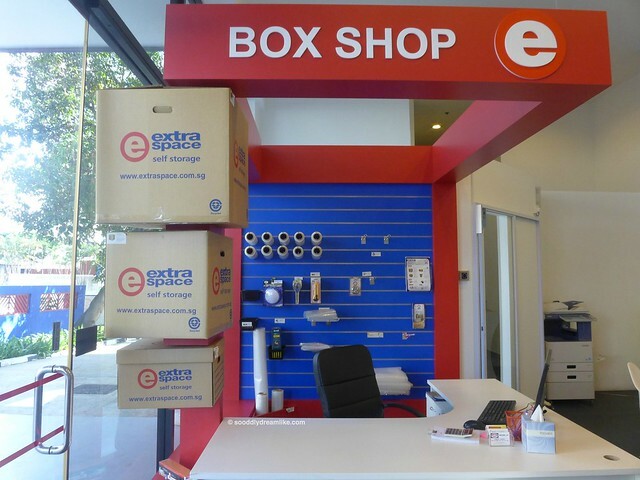 Thanks for sharing more about this self storage!